An exterior soffit is located on the span beneath the rafter tails, while the fascia is the exposed horizontal band you see at the end of the rafters. These architectural elements found along the eave area do more than just add visual interest and give a finished look to your home. They help protect the exterior of your house by keeping out pests like bats, birds and squirrels, and give you a way to disguise ventilation for your attic. If you live in a climate with high winds that causes rain to swirl up under the eaves, your soffit keeps water from blowing into your house. If it’s not maintained well, it’s a place for water to collect. Once a year when you clean and inspect your gutters, that’s the time to inspect your fascia and soffit for peeling paint and other problems. Keep everything well-painted, sealed and caulked. While soffits and fascia are traditionally constructed from materials like aluminum and wood, many homeowners are now choosing ones made from synthetic and composite materials like UPVC and vinyl because they offer easy maintenance and durability. 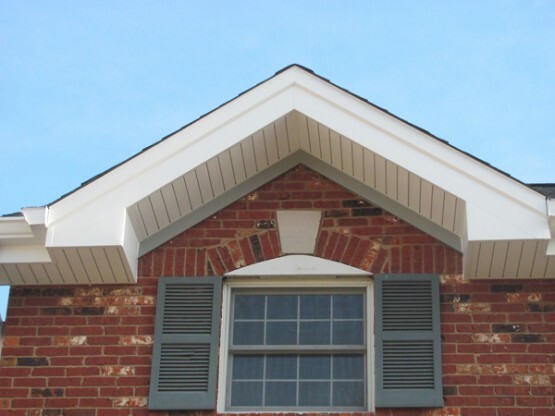 Vinyl soffits (some are beaded or smooth, while others offer the look of wood grain) and vinyl fascia and trim products come in different styles to complement the architecture and look of your home. There are also products available made from recycled materials, for those who want an eco-friendly alternative. Making sure your soffit and fascia are installed correctly and properly waterproofed is the best way to prevent problems down the road. Damaged flashing or gutters that don’t function properly can also create issues. Windows provide our homes with light, warmth, and ventilation, but they can also negatively impact a home’s energy efficiency. 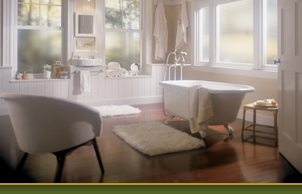 You can reduce energy costs by installing energy-efficient windows in your home. If your budget is tight, energy efficiency improvements to existing windows can also help. You can improve the energy efficiency of existing windows by adding storm windows, caulking and weatherstripping, and using window treatments or coverings.